Elizabeth Buchholz’s enthusiasm for Collaborative Problem Solving is contagious. She has seen it make a difference in the lives of the children at UMFS, and she is always happy to share her expertise and train others. Collaborative Problem Solving teaches both adults and children to handle conflicts differently. It requires a shift in belief from thinking that kids do well if they want to, to thinking that kids do well if they can. By using Collaborative Problem Solving techniques, we equip kids to be able to do better, and over time it helps train their brains to solve problems effectively. When a conflict arises, counselors work with kids to talk through the issue and get to the heart of the needs on both sides. By engaging this way, children are able to understand the problem better and they’re encouraged to solve it collaboratively. Collaborative Problem Solving has multiple benefits. It teaches kids flexibility, frustration tolerance, and social thinking skills. It also helps them build empathy so they can understand problems from another person’s perspective. The Collaborative Problem Solving model has been used successfully in the UMFS Child & Family Healing Center. Over time, kids are able to successfully solve problems on their own, without becoming frustrated and escalating their behavior. 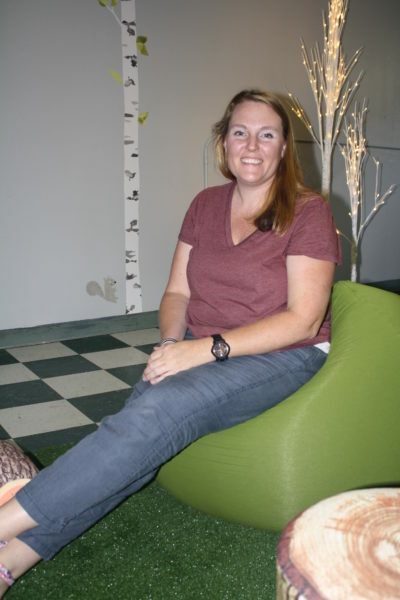 UMFS Child & Family Healing Center Program Services Administrator Elizabeth Buchholz has enjoyed seeing the model used successfully with the children. She has expanded her focus to train other groups as well. This summer she started training parents and foster parents of the children in the Child & Family Healing Center. The feedback has been very positive. One mother shared her frustration using the traditional system of imposing punishments and consequences when her child acted up. That did not work, and the situation often escalated. She knew she needed a new approach. She drives over three hours each week to attend the Collaborative Problem Solving training because she feels it can really help her son. Another family is so encouraged by the model that they invited all of their son’s grandparents to attend the training so the whole family can be consistent and supportive. Elizabeth is happy to see more people benefitting from the Collaborative Problem Solving training. If you would like to join a class, please contact Elizabeth Buchholz at ebuchholz@umfs.org.